One project that Johanna develops is accessories brand Joti Knot that just recently launched a new collection called “Line”. 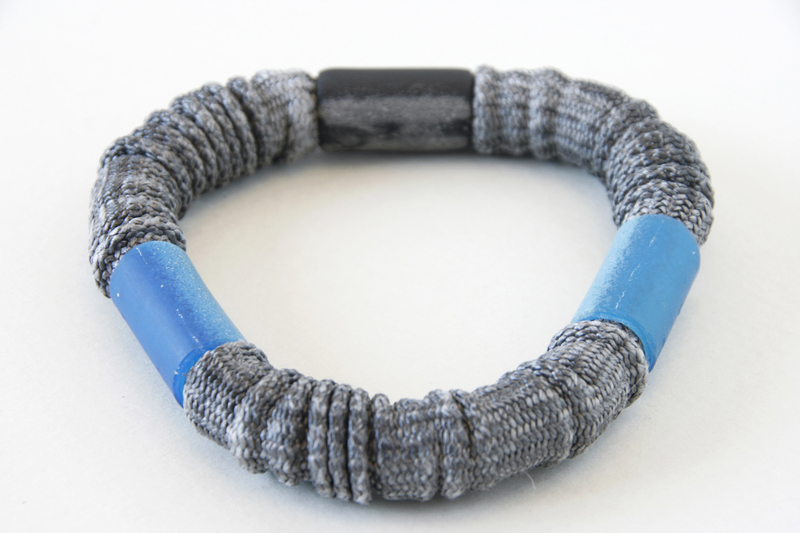 Joti Knot’s first collection was made from high tech mountaineering ropes and now she has moved towards nautical themes. 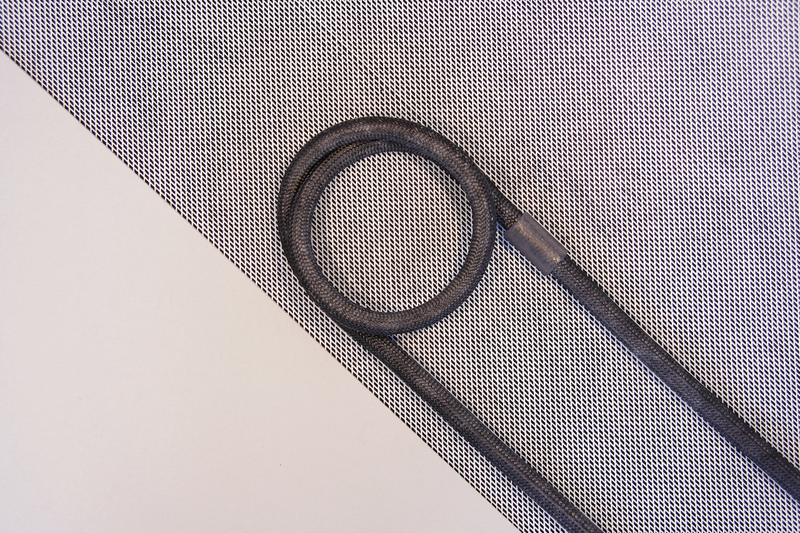 The new collection is inspired by the resistance and simplicity of sailing rope. The designer was interested by the development of the sailing rope from sturdy plant fibers into a flexible and light material that has the strength of steel. A line in nautical terms is where the rope is cut, spliced, or simply assigned a function. The new collection is a quiet and paradoxical understatement of the precision and almost artistic functionality of the material. The strong yet soft and supple outer rope layer lives its own life in every piece, as the material is used in unconventional ways to create new shapes by stretching, compressing and turning ropes inside out. The Joti Knot collection was born out of illusion – “I saw woman in Spain wearing something scarf-like that seemed to be rope. But I didn’t quite get it and decided to try it out myself. I went to the rope store to look what they had there,” explains Johanna the birth of the brand. As a product designer, Johanna constantly develops different ideas and materials further and out of practical reasons the rack NÖRK was born. 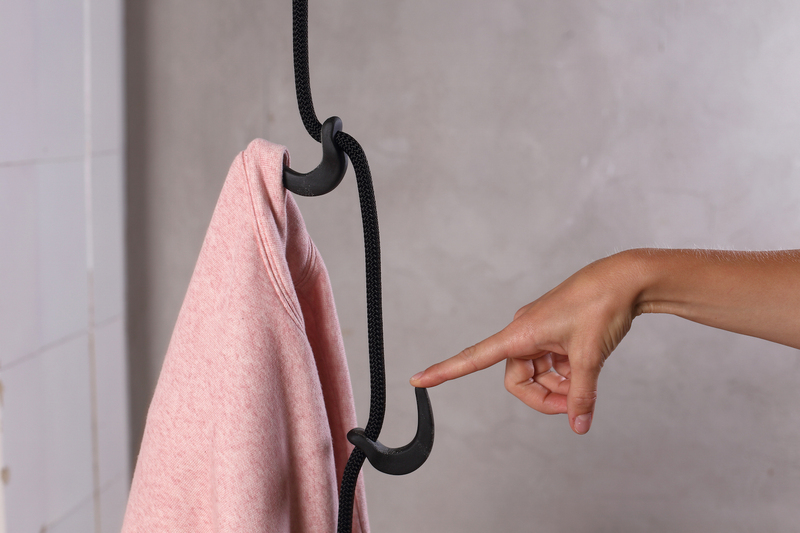 The name, NÖRK RACK comes from a combination of two words, rope and hook in Estonian (nöör + konks). Johanna has been getting to know rope as material quite well, while working on rope accessories. The rope is incredibly strong, light weight and compact material. It supports human weight on great heights, so why not use it effortlessly hang your everyday usable, especially clothes. The experience shows that the classic clothes hangers are often unstable and fall over on the winter under heavy coats and clothes. NÖRK bears heavy weight and is ideal for small places or for people who move often. The rack hangs from the ceiling or a beam and the clothes are hanged on hooks that are firmed to the rope with Munter knots that is known from mountaineering and allows the hook to be slides easily up and down, yet locking well.